This is ladies and gentlemen, why I torture myself for an hour, maybe 2, in the state of the art cycling studio – Athlete Lab after a long day of week on Friday night [aside from the Deca of course). I mean you have to do it properly right? This was a previous post from my blog – http://www.howtomeetamillionpeople.com – catchy title right? Bored in the office? Find yourself staring out of that window across from the desk? 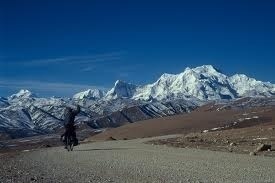 Well let’s put together a list of bike rides (which have all been achieved) which you can post on your computer screen and stare at for the next 3 years, until you get divorced and blow all your savings to have some good stories for when you are old. Salar de Uyuni (or Salar de Tunupa) is the world’s largest salt flat at 10,582 square kilometers (4,086 sq mi). It is located in the Potosí and Oruro departments in southwest Bolivia, near the crest of the Andes and is at an elevation of 3,656 meters (11,995 ft) above mean sea level. It is not as flat as a pancake, in fact much like cycling across cobble stones due to the way the salt dries in hexagonal tiles, but as uncomfortable as it would be to ride up & down for a few days the reflective surface has been compared to heaven on earth. It is about as far from an office as you can possibly get – no road markings, masses of pink flamingos bathing in pools of water and the only reference point being the Volcan Thunupa island (an old coral reef) on the horizon. 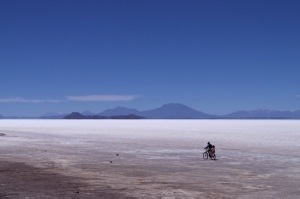 In total, we pedalled across 80km of this prehistoric salt lake, via the rocky outcrop of Isla Incahuasi in the middle. As we set out onto the crusty surface, the only landmark we had was Volcan Thunupa at the far end to guide us, there being no road markings to follow. Keirin is a very popular gambling sport in Japan. Nine riders race on the track at the speed of 70km/h employing different tactics as their don’t compete against the clock but first over the line. Riders are grouped into two groups – ‘Senko’ riders who have more endurance and are positioned at the top of the LINE and leads the LINE. Then there is ‘Oikomi’ riders who have more instantaneous force (I suppose the ‘Chris Hoys’) who follow and block other ‘LINES” and protect the ‘SENKO” rider of their LINE as they head towards the goal. Only in Japan and Korea is this Olympic sport held as a gambling sport with about 3800 registered riders classified into ‘S-class’ and ‘A-class’ (S-class being superior to A-class). 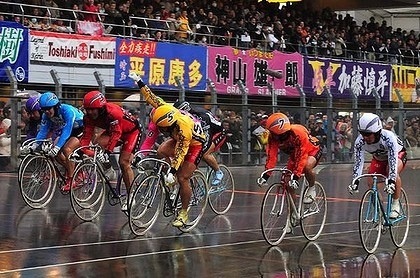 The Keirin Grand Prix is held every December. Nyalam Tong La or Yakrushong La is a Mountain pass in China on the Matsung Tsangpo-Phung Chhu watershed divide where the Friendship Highway connecting Kathmandu, Nepal and Lhasa, Tibet crosses at 5,150 metres elevation. 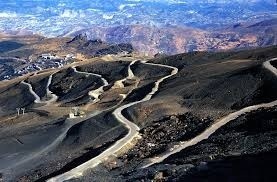 One of the highest paved passed in the world this route gives unforgettable panoramic views with breathtaking scenery of Shishanpagma mountain (8012m) and countless other mountains! 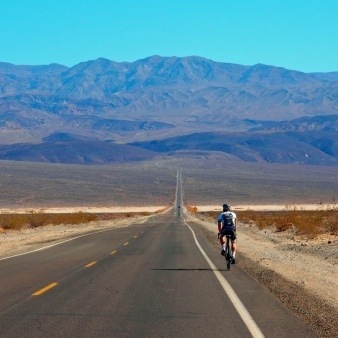 No4 – Cycling through Death Valley, USA; the Furnace Creek 508 ultra cycling race being the optimal way! Furnace Creek 508 is an ultramarathon bicycle race that takes place annually each October since 1989 in Southern California. 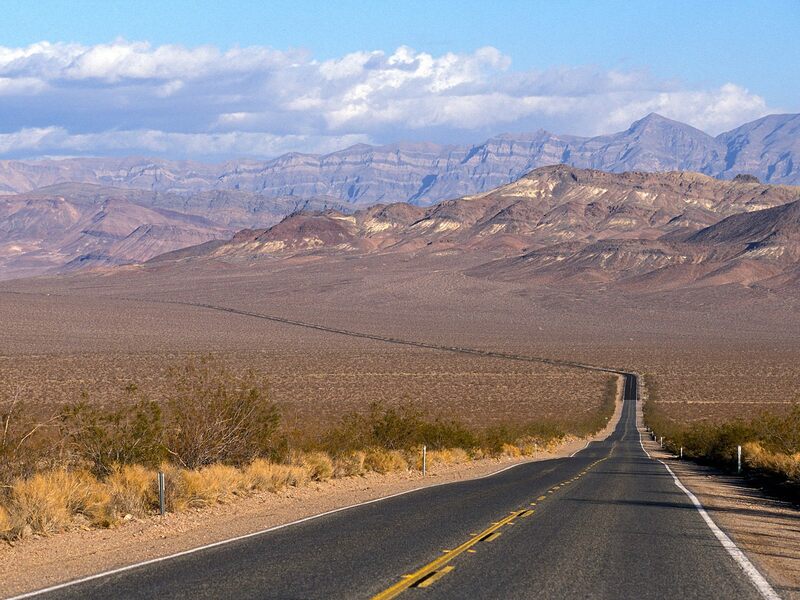 Its route starts in Santa Clarita, California (25 miles north of Los Angeles), goes northeast to Towne Pass and drops into Death Valley, traverses Death Valley in the southern direction, crosses Mojave Desert and ends at Twentynine Palms, California. The race is named after the total length of its course (508 miles) and the location of its midpoint (near Furnace Creek, California).The Furnace Creek 508 identifies riders and teams with “totems”; animal names said to signify or have a special meaning for a rider or team. 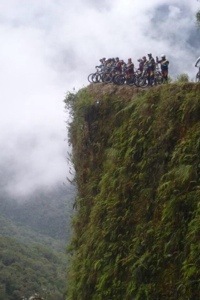 Cycling the so-called world’s most dangerous road is much like an extreme sport like skydiving or come to think of it more like BASE jumping because let’s face it there is no expert guide controlling your propulsion! 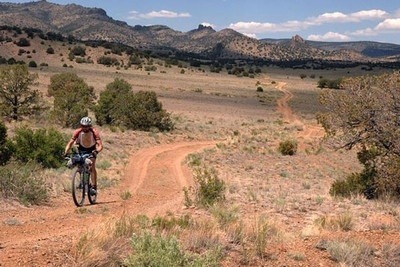 The 40mile route, lined with stone and wooden crosses, has over 25,000 backpackers a year hurtling at 30mph over a surface more like a dirt track than a paved road. If your thing is perilous hairpin bends, unobstructed 600m cliff drops while you hug vertical rock-faces on one side, and in its upper reaches clouds obscuring the deadly jungle abyss around you; then well you should book a flight asap! 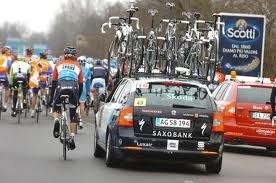 The Ride behind the Race. Of course there is always Land’s End to John O’Goats as well……. 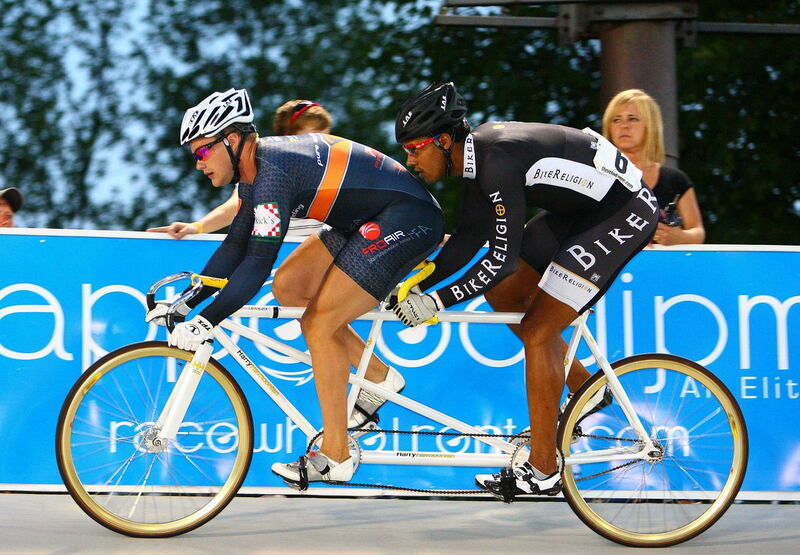 Visually impaired cyclists use a tandem bicycle with a sighted pilot to compete in paralympic track and road competition. Disciplines include the time trial and individual pursuit. Here is a quick video on when the tandem was featured in the Olympics also [Paris 1924, the same Games at the Chariots of Fire in fact! ], should we start lobbying now? 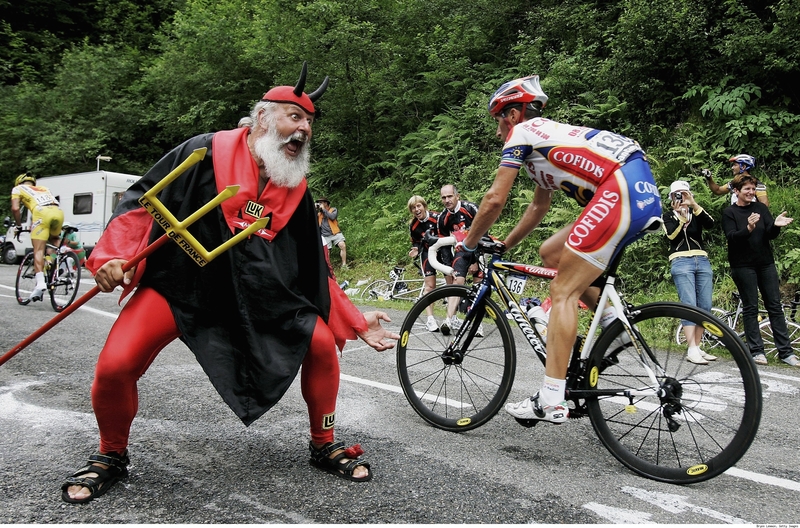 When a mountain climb hasn’t even featured with the pros in Vuelta a Espana (and really those Tour organisers are sadist, I mean they literally sent people out in the 60s to find these sick climbs!) you know it is going to be a long day. This 3,384m climb is the highest paved road in Europe and apparently ranks 15 in the world’s hardest climbs – number 15 coming from the Himalayas. The 40km+ ascent even has personal accounts warning of a lack of oxygen at the peak. This is the one with the dog sleds right? Right. 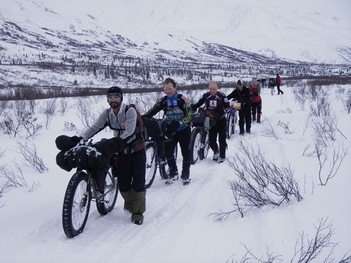 These extraordinary cycle rides fit into the present because of the determination of five Anchoragers who set up an original 170 mile ride which was conceived as a ‘shakedown training run’ to test equipment and stamina. Three years after the original race in 1985, 4 men completed the 1,049 miles up the Iditarod dog sled trial to Nome in 22 days – imagine that on your CV! This ultimate bike race now runs as the Iditasport Impossible (1100miles) or if you are a little strapped for time – The Iditasport Extreme (350miles) or Iditasport 130. But please try to enjoy it. – Much of the route is not signposted so reading a compass is a good place to start on your preparations. – It is also not uncommon to encounter large mammals including grizzly and black bears, moose and occasionally cougars – really puts that ‘tough’ sales meeting half an hour ago into perspective! The Race Across America, or RAAM, is an ultramarathon bicycle race across the United States that started in 1982 as the Great American Bike Race and is probably the best-known annual endurance events in the world. The race has no stages and runs from west coast to east coast in the United States – approximately 3,000miles (4,800km). In contrast the Tour de France is 2,300miles long with the distance divided into individual stages and spread over 3 weeks. As you can imagine sleep management is one of the biggest challenges of RAAM as the clock doesn’t top even for sleeping. Solos at the front of the race will typically sleep as little as 90minutes a day and in order to make the 12 day time limit, racers can’t afford more than 4 hours a day at the most. In its traditional form, RAAM is a solo competitor event – a non-stop individual time trial – the race organizers often call this the Human Powered Vehicle Race Across America and is slated as a platform for technology advancement in cycling aerodynamics and human powered propulsion. The current solo record was set in 2013 as is 7days 22hours by Christoph Strasser – which works out at 15.58mph average over the distance (that includes any rest periods!). In addition to the solo effort, there are also team categories – 2,4,8 – and tandem bikes. 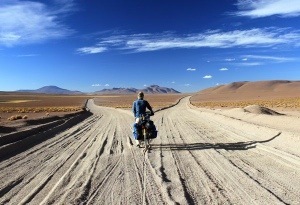 One human, one bicycle, one lap of the Earth, one world record – the longest and toughest bicycle race on the globe. Find this interesting?Why not follow our new posts on an easy monthly newsletter? Only the best posts sent!